Start with the Premium! A Prize, or Bonus when added to your Earring Products! Our S3514 – Bright Sterling Silver Small Premium Clutch. Fits Earring Posts up to 1mm or up to 18 Gauge. 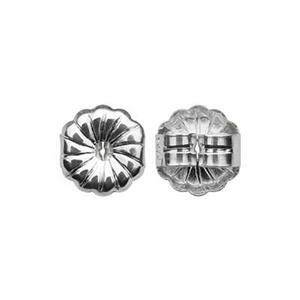 View our entire line of Sterling Silver Earring Posts. Pre-Me-Yumm! Sturdy earring backs that click nicely in place and hold up well over time!